Samsung's Galaxy Note 9 is here at last, and – like any sane person – you're no doubt wondering whether it could be your next smartphone. Here we're going to match the phone up against the 2016 equivalent – the infamous Galaxy Note 7. You can't buy the Note 7 any more, of course, thanks to a certain battery overheating issue that meant the vast majority of units were pulled from sale. Nevertheless, it's still interesting to compare the design and specs of the Note technology from two years against what we've got today. And, well, there are still some people using the device no-doubt, and two years down the line could now feel it is the right time to upgrade. The Note 7 was a fantastic-looking phone for 2016, with its sleek and curved edges, and its spacious 5.7-inch, 1440 x 2560 pixel screen. You could pick it up in blue, gold, silver and black before Samsung recalled all the units. The Note 7 is looking slightly dated by 2018 standards though, mostly thanks to the thick top and bottom bezels that have been banished on more modern phones. 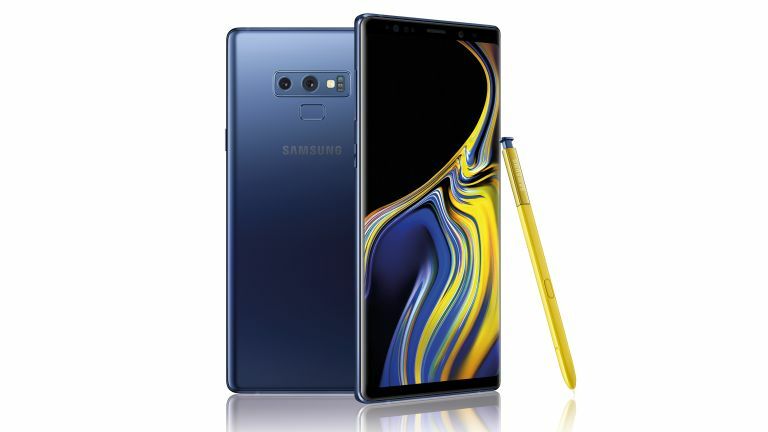 The Note 9 brings with it an 18:9 aspect ratio screen, measuring a generous 6.3-inches with a 1440 x 2960 pixel resolution. It's coming in blue, copper, lavender or black. Add in a revamped S Pen and the Note 9 is the clear winner, unless you've got a real hankering for classic smartphone looks. Two years is a long time in phone design. Two years is a long time in phone specs too. The Note 7 came with an Exynos 8890 or Snapdragon 820 processor, depending on the region, plus 4GB of RAM and 64GB of internal storage (expandable via memory card). Two generations later, the Note 9 is arriving with an Exynos 9810 or Snapdragon 845 processor, up to 8GB of RAM, and up to 512GB of storage (still expandable via memory card). Those are some daunting specs. Of course you would expect smartphone specs to move forward over the course of two years, but the Note 7 vs Note 9 comparison shows just how rapidly the tech inside our mobiles continues to progress. The new S Pen that is coming with the Note 9 is well worth mentioning, bringing Bluetooth, playback control, and some other extra tricks. Samsung's new phone will also get Bixby 2.0 – the digital assistant didn't exist back in 2016. A lot of the other features are actually very similar between these two handsets. Both make use of wireless charging, for instance, and both have an IP68 rating for waterproofing and dustproofing (it's just a shame the Note 7 wasn't fireproof too). The Note 7 featured a 12MP single-lens rear camera, compared to the dual-lens snapper setup in the new Note 9 – so photo quality will have taken a significant jump forward. It may not come across very well in this comparison, but the Galaxy Note 7 was a great handset – it just had a tendency to start burning up. Aside from that dangerous defect, it was right up there with the best phones of 2016. The Note 9 is about to show just how far smartphone tech has come in two years though – it looks much more stylish, it's much more powerful on the inside, and with the S Pen and Bixby it will boast some serious feature upgrades too. Samsung will just be hoping the Note 9 doesn't have major flaw like the Note 7 did.